History of Apple Pie's Out of View album. 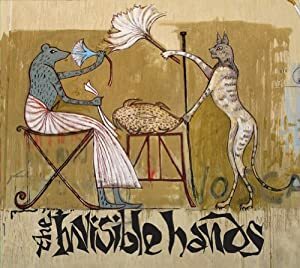 The Invisible Hands are Alan Bishop of the Sun City Girls and a backing band of Cairo musicians. Psychedelic-folk is best how to describe this. Palma Violets 180 album. Reminds me at times of early Nick Cave. Some really catchy songs here & a couple weak ones.